Visiting Europe is a kind of historical re-awakening – a way of linking to our collective past. Walking down a centuries old cobblestone road, walking between centuries old buildings, I get the feeling that in some way, the past is alive in these places. With the correct historical context, or a guide who can provide it, you will get this feeling too. When I take a OneLife Tours group into the 850 year old Notre Dame Cathedral in Paris, I like to tell some of the great stories from the church’s history. But I also want my travelers to get in “touch” with history. Inside, at the back of this gothic enormity, I take them to one of the huge stone pillars. And I invite them to touch it. And to imagine the hands that quarried these stones, that carefully chipped them into this shape, and placed them at the base of the column. To realize that those people lived, worked and died here, in history, and that those who placed the stones we can actually touch would not have lived to see their work completed (in fact even their great-grandchildren would not have seen this – the cathedral took 200 years to build!) This is history. This is being in history. 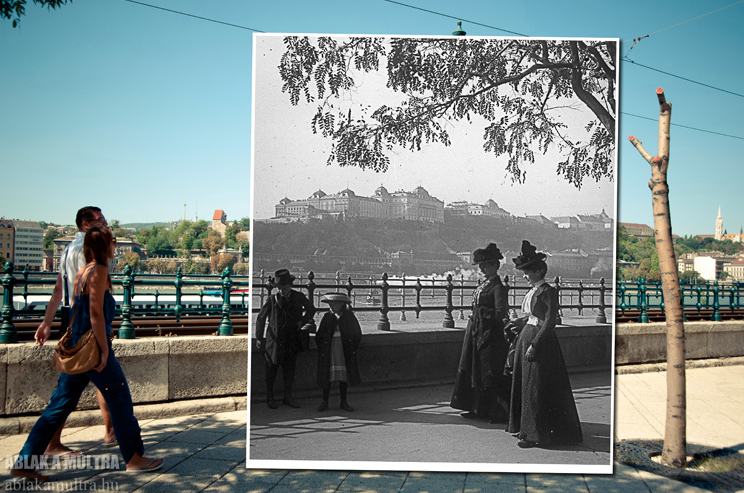 Hungarian photographer Ablak Múltra forces people to “be in history” by overlaying old photographs over new images captured in the same place. The results can be stunning!